Remember Mariah Carey's last studio album Memoires Of an Imperfect Angel? Well if you do, you may not know that the album had two accompanying remix versions of it recorded that were cocked for release. However since the album barely managed to register a heart beat before it died an untimely death (NB: review), the remixed recordings were scrapped before a release date was set. 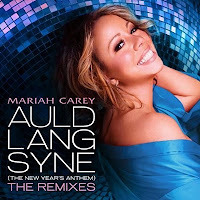 An Rn B inspired take on the album was to feature different guest artists, such as Mary J Blige and R Kelly, duetting with Mariah on each song. Two of the remixes, Up out of my face featuring Nicki Minaj and the Angels Cry duet with Neo, managed to sneak out of the album before it was locked away but their failure at the charts pretty much guaranteed none of the other songs were to be released. Not wanting to deprive the world, Mariah has said of the songs that she is looking into avenues of how to make these, eventually, available to the fans. She's even considering giving them away for free, which I think is highly unlikely. Anyone else smell a remix compilation album with all her other biggest remixed hits from yesteryear...oh wait! The second album had the Memoires tracks remixed by, dance DJs of the moment, the Jump Smokers. Lucky for us this album has been released for free here. Particular stand outs of that album include More than just Firends,Betch gon know and H.a.t.e U. In related news, to prove how much she loves these guys, Mariah has just revealed she has commissioned the Jump Smokers to create a remix - WITH NEW VOCALS- of All I want for Christmas and OH Santa (from Merry Christmas ii you). MariahCarey Coming VERY soon! : "Oh santa all I want for Christmas is you" Jump smoker's re mix!!! #stone festive!!!! Merry Christmas again!!! JumpSmokers in the lab working on our huuuuuugggeee TOP SECRET project...ya'll should be hearing it very soon...just in time for the Holidays!! !